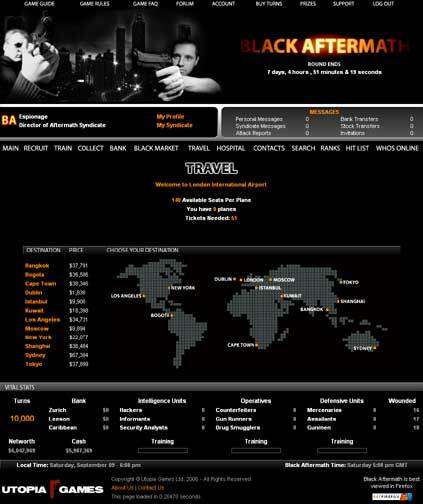 In Black Aftermath you have the ability to take part in international espionage, thievery and murder; in an attempt to dominate the global crime circuit. Become a member of a crime syndicate or play as an independent hitman, killing and stealing from all those who come into your path. 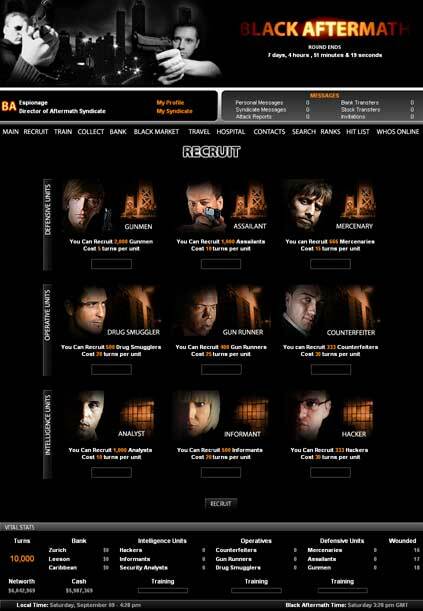 Inch your way to the top by smuggling drugs, laundering money, performing arms deals, hacking into other contenders foreign bank accounts and spying on their every move.